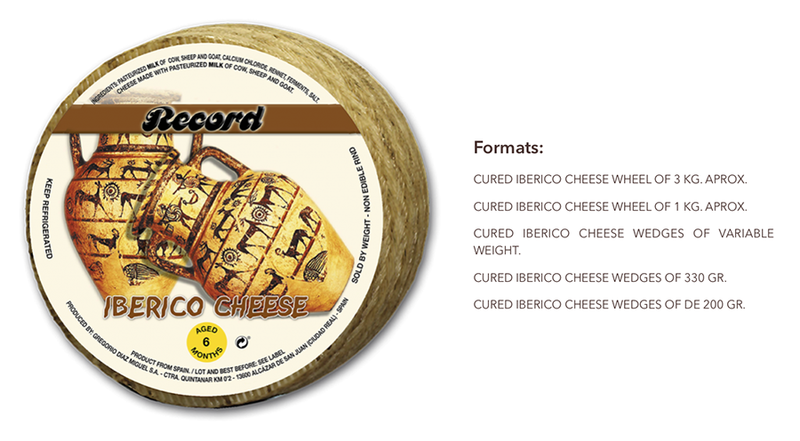 Definition: Cheese elaborated with a blend of pasteurized milk of cow (50%), sheep (30%) and goat (20%). Ingredients: Cow milk, sheep milk, goat milk, rennet, lactic ferments, calcium chloride and salt. Presentation: Whole wheels and wedges in vacuum packed. Storage Temperature: 4 – 8 º C.
Shelf life: 12 months for the wheels of 3 kilograms and 1 kilograms, and 6 months for wedges of 200 grams and 330 grams.